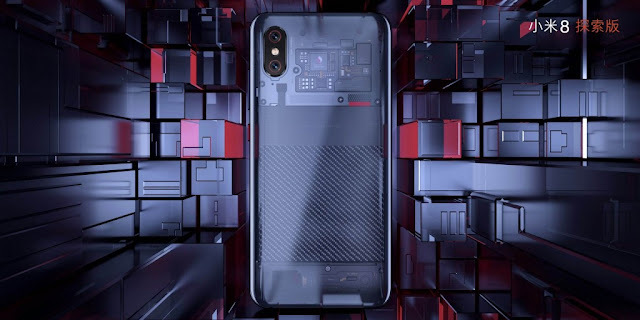 Xiaomi Announces Mi 8 In Three Variants Including Transparent Explorer Edition & Cheaper SE Model - AndroGuider | One Stop For The Techy You! Xiaomi has announced its latest flagship - the Mi 8. Xiaomi's flagship for last year was named 'Mi 6', but the company has skipped the number seven in light of its eighth year anniversary. The Mi 8 lineup comprises of three smartphones - the Mi 8 flagship, the Explorer Edition. and the SE model. As would be expected from an Android flagship for 2018, the top-tier Mi 8 boasts of a Snapdragon 845 with 6GB RAM. The phone features a 6.21" Super AMOLED FullHD+ screen from Samsung, and as was rumoured, there's a notch. The notch appears quite wide in the image renders, and it houses the 20MP selfie camera and the earpiece. The Mi 8 runs Android 8.1 Oreo-based MIUI 10, and it has a 12MP dual camera setup at the back. The Mi 8 has received an overall score of 99 from DxOMark - 105 for photos and 88 for videos. Talking about videos, the Mi 8 can shoot 4K videos at 60 frames per second. The battery capacity is 3400mAh and it supports fast charging via QuickCharge 4.0. The Mi 8 is the first phone in the world to include Dual GPS. The GPS sensors in traditional smartphones utilise only the L1 frequency. 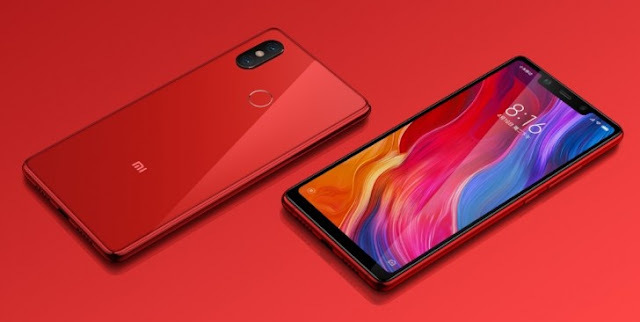 In the Mi 8, Xiaomi makes use of the L1 frequency along with the L2 frequency which is mostly used in aeronautical equipment. This should make satellite locations even more precise. The Mi 8 will be available online and at offline and Mi stores starting June 5. The pricing, along with the specifications, is given below. The Explorer Edition is a Mi 8 with a transparent back, 3D face unlock, and an in-display fingerprint scanner. The fingerprint scanner will work only on a particular section of the screen. When the device has to be unlocked, a small portion of the screen will light up to tell the user where the finger has to be placed. The sensor will then illuminate the finger surface with a beam of light. The light reflected from the finger will be analysed with the recorded fingerprints, and the device will be unlocked if there is a match. 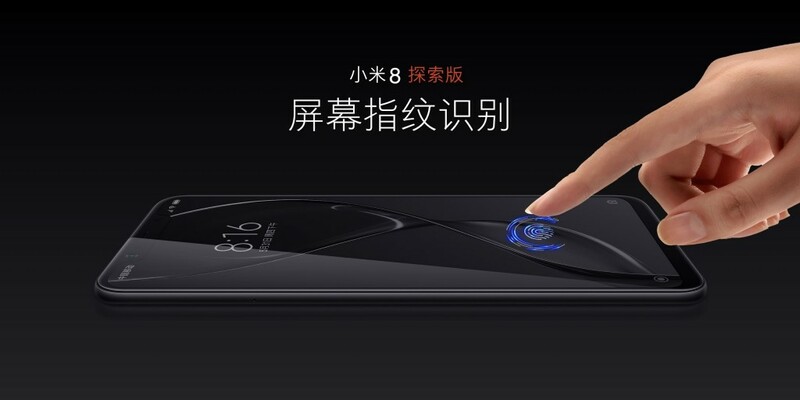 Xiaomi has noted that the in-display fingerprint scanner will be slower than the one at the back of the standard variant of the Mi 8. Xiaomi's 3D face unlock is similar to the iPhone X's facial recognition in many ways. 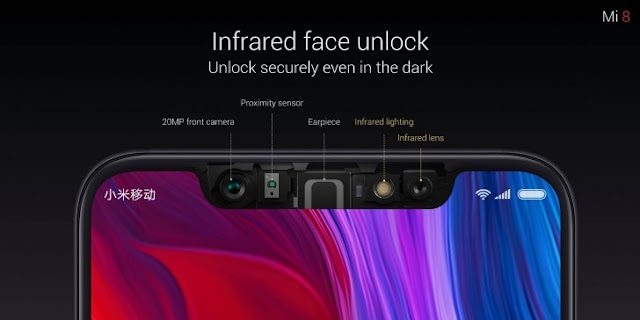 Unlike other Android phones, the Mi 8 has infrared sensors, located in the notch, which are specifically meant for face unlock. 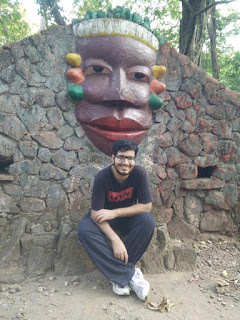 Xiaomi says that the 3D face unlock works even in dark environments. The Mi 8 also includes animated emojis which seem to have been inspired by Apple's Animoji. Most importantly, and perhaps the sexiest feature of the Explorer Edition, is its see-through back which gives the user a complete look at the internal components of the phone. The back is translucent like in the blue version of the HTC U12+. Just like the Mi 8, the Explorer Edition will go on sale on June 5. The specifications and pricing of the Explorer Edition are given below. Xiaomi wants to make the Mi 8 affordable for many, and that's why the company has launched a less powerful, smaller and cheaper version of the phone in the form of the Mi 8 SE. Although, the SE model has the same design as the other Mi 8 variants, it is quite different in other respects. Firstly, it has a 5.88" FullHD+ AMOLED screen. There is a 12MP+5MP setup at the back, and the primary camera sensor doesn't have 4-axis OIS which is present in the flagship Mi 8. The front camera is 20MP sensor with an aperture of f/2.0 and a large pixel size of 2.0μm. Both the front and rear cameras use the pixel binning technology for better low light shots. The Mi 8 SE is the first handset to be powered by Qualcomm's new Snapdragon 710 processor for the mid-range. There is 4/6GB RAM along with 64GB internal storage. There is no support for storage expansion, and none of the Mi 8 variants has a headphone jack. The launch details of the Mi 8 SE are yet to be specified. 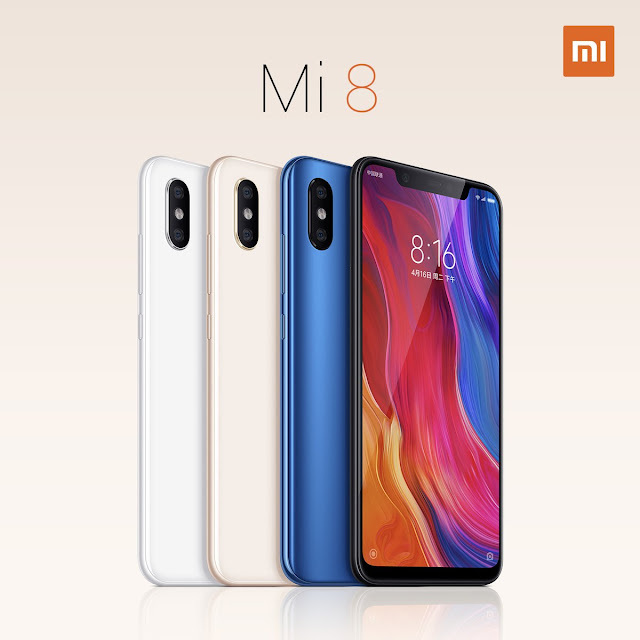 The specifications and price of the various Mi 8 SE models is given below.